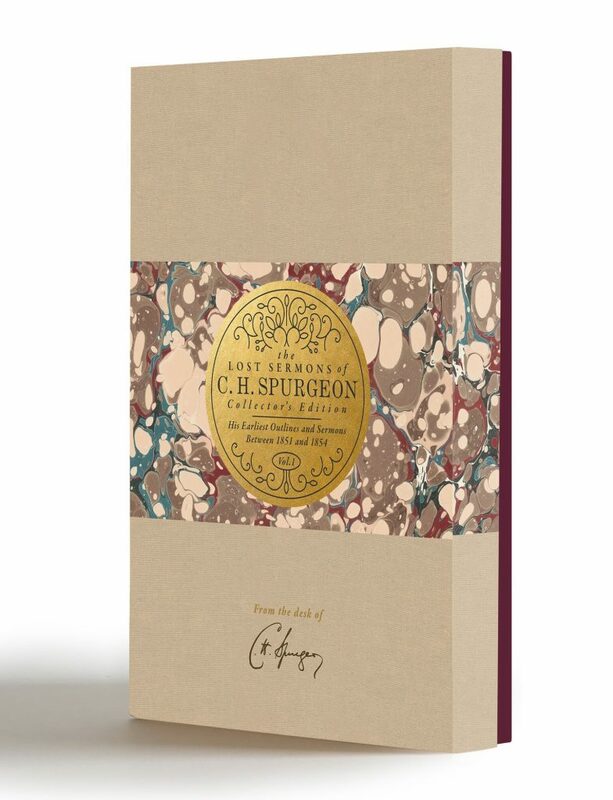 Our design team was given photographic reference of 11 time-worn Victorian-era journals containing early sermons by Charles Spurgeon. 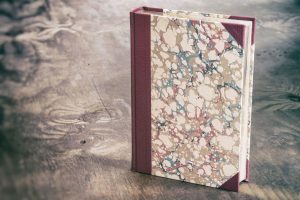 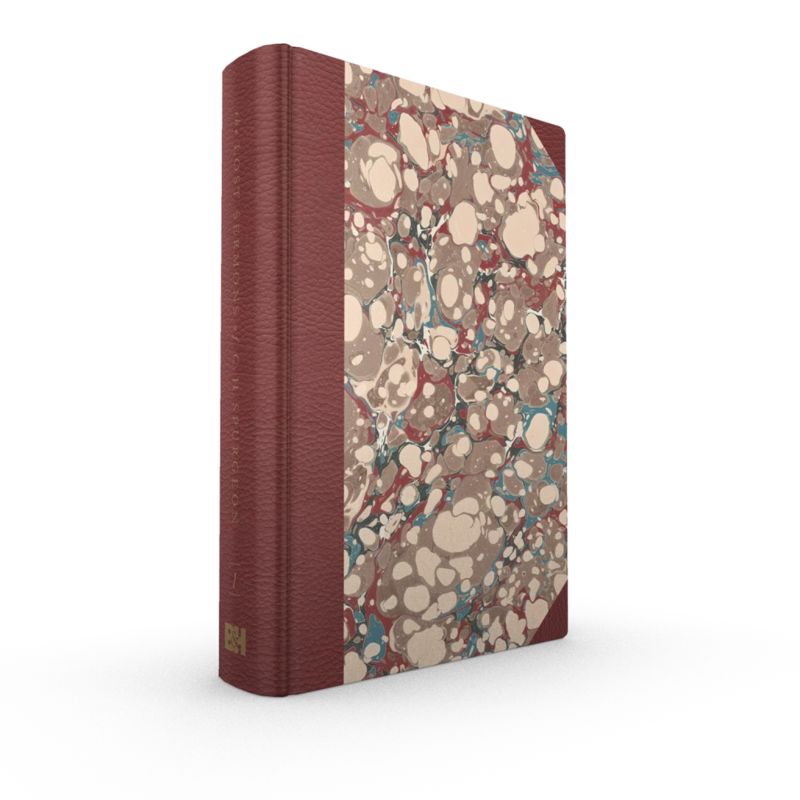 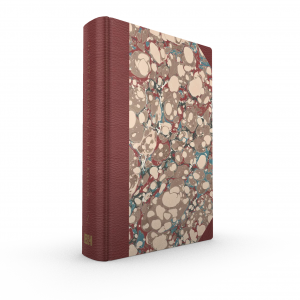 We commissioned an artison to recreate the marbled paper cover patterns, and we worked with Cromwell Leather Group to match leather colors to the original series spines. This is the first volume of what will be a 12-book set. A limited edition of 40 are made using hand-made sheets of marbled paper, while the full production run features an offset-printed scan of one original marbled sheet. 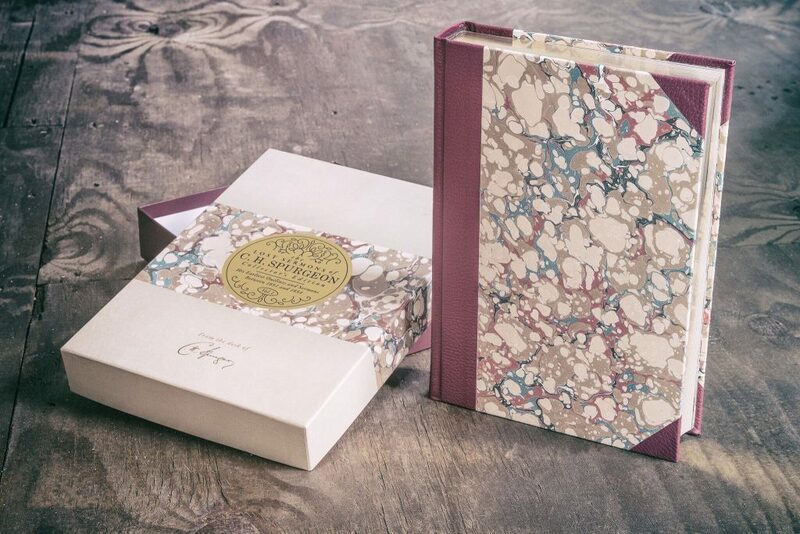 Packaged in a matte-laminated telescoping gift box with generous gold foil.